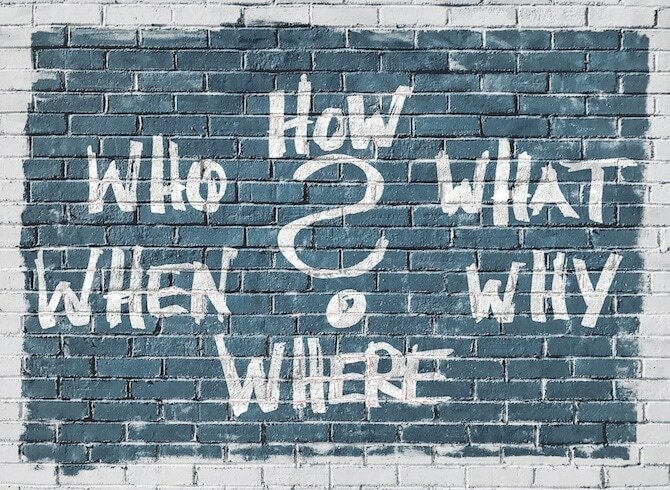 There’s a lot that goes into an SEO-friendly website, and a lot has to do with how SEO-friendly your theme is when it comes to WordPress sites. You can keyword research all you want and spend a lot of time creating quality content, but you only will make your life harder if your WordPress theme isn’t optimized for SEO. 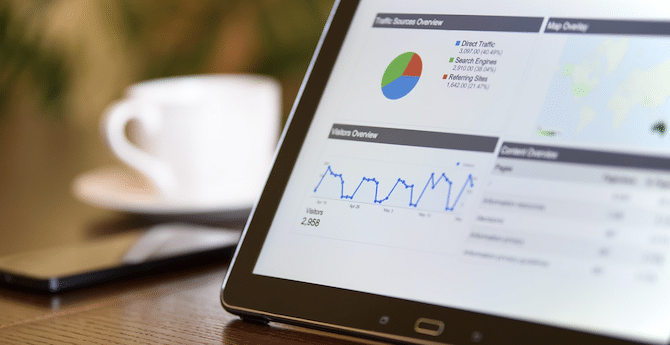 This doesn’t mean that you won’t get traffic or won’t rank reasonable when your WordPress theme has SEO issues, but it surely can affect your rankings on the long run. What are SEO friendly WordPress themes? SEO-friendly WordPress themes are themes that have been designed and developed in a way that makes them optimized for various ranking factors Google and other search engines use. It all comes down to how the website performs for the end user. This includes things you’re probably already familiar with, such as site speed and user experience. Google wants to feature sites that offer value to users on the top pages of its search engine. This means the site needs to load fast, be easy to use and navigate, and be filled with quality content. If your theme is slow, your site will likely be slow no matter what type of server you’re on or caching/CDN systems you’re running. If your theme features too many animations, user interactions that don’t make sense or a complicated navigation system, your site is going to be difficult to use. Other factors involve the theme’s overall code and structure. This includes how responsive the WordPress theme is, its overall layout and the quality of the code it uses. This is why it’s important for you to do your research and choose a WordPress theme that’s optimized for SEO. A lot of themes look great, but they may have bloated features and code on the front and backend. Fortunately, we’ve created a handy list with some of the best SEO-friendly WordPress themes you can use as a resource. We hope that this will help you to find a suitable and SEO optimized WordPress theme for your website or blog. Let’s get started. 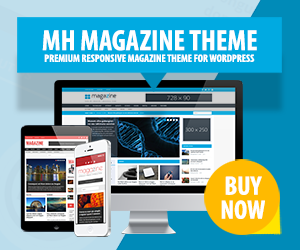 MH Magazine is one of the most popular magazine themes for WordPress. This flexible and SEO-friendly theme for editorial websites comes with a fully-widgetized front page template to display your valuable content well-organized. The codebase of this popular magazine WordPress theme is clean and optimized to ensure that it loads fast and doesn't negatively affect your rankings in search engines. MH Magazine also includes various layout options, color scheme editor, typography options and plenty of custom widgets to configure your website. Divi has become Elegant Themes' most popular theme to date. They even have an entire category on their blog dedicated to the theme. It's essentially a multipurpose theme powered by the Divi Builder, Elegant Theme's powerful page builder plugin. The theme comes with over 20 pre-made layouts, but the Divi Builder allows you to build custom designs from scratch. The Divi theme features quality code that's been cleared by Sucuri. The pre-made layouts feature lightweight designs, but you'll have full control over the speed of your site if you choose to build your own design. GoodLife is a magazine theme that comes with 8 homepage demos, each of which catering to a different niche. The developers have put the theme and each of its demos through several tests to ensure they're optimized for speed and SEO. This includes using optimized designs, clean code and Google structured data. Magazine-related features include a review system, a smart advertising system, video playlists, mega menus and more. Soledad is a monster of a theme. It's primarily a magazine and blogging theme that features numerous homepage demos for different niches, but it's also a multi-concept theme that comes with a whopping 900+ homepage demos. Every design is optimized for speed and user experience, and its code is specially formulated for compatibility with Google's standards. Soledad is also easy to customize as it comes with over 250 options in the live theme customizer as well as several different styles for menus, sliders, headers and article layouts. H-Code is a multipurpose business theme that comes with over 50 homepage demos as well as over 20 one-page demos. Every demo features optimized layouts for a variety of different niches and business types, including creative agencies, professional blogs, freelancers and more. Overall, the theme was designed to look good while also loading fast and featuring a design that's easy to use and navigate. Its entire structure is optimized for SEO. The Voux is a stylish, lightweight and somewhat feminine magazine theme perfect for fashion, design, food and lifestyle magazines. It has 9 homepage demos that either feature a different style than the main demo or cater to a specific niche, such as food, travel and fashion. The developers of this theme have optimized it for speed, which takes care of that SEO issue. However, they've also made sure the code is up to date and meets current industry standards, and they've also included Retina support to ensure your site is compatible with devices that support it. Newspaper is a popular news theme from tagDiv. It features 20 templates, all of which are designed for content-heavy sites responsible for publishing the latest and greatest news surrounding their niches. All of these templates feature unique designs, giving you plenty of options to choose from. Newspaper also happens to be one of the most optimized themes in existence. It has a fully-optimized desktop demo, but the developers have also created a separate, just-as-optimized mobile version of its theme. This gives your site a major advantage given the fact that Google has started using mobile performance as a ranking factor. Total is a multipurpose theme designed for flexibility. It uses an extended version of the premium page builder plugin Visual Composer, which gives you the ability to build your own custom designs and import customizable demos. It's marketed toward business owners in charge of building their own websites as well as developers who need quicker ways to get websites completed. Total was built with speed in mind. You can even disable features you don't need to prevent yourself from running a bloated variation of the theme. It's also been tested for compatibility with the W3 Total Cache caching plugin. But of course you should be able to use other caching plugins as well. Extra is another theme by Elegant Themes. This one acts as a semi-companion to the Divi theme. That's because it uses the same drag-and-drop page builder plugin, except this theme is meant to be used as a magazine theme. That makes it a powerful, customizable magazine theme that works with any niche. This theme was developed by the same developer who developed the Divi theme, so it features the same level of quality in terms of its code, responsiveness and overall user experience. The Divi Builder also gives you the same ability to optimize the speed and user experience of your site. This ensures optimal performance on desktop and mobile devices. Nice and cool SEO-friendly themes for WordPress. I recommend these themes to all of the new bloggers. Thanks for sharing. Nice theme. Recommended for new blogger.